Abruzzo holds a record: 30 per cent of its territory is protected by environmental laws. No other region in Europe can boast as much. Not without good reason is it known as ¿he region of parks¿ the ideal target for a naturalistic vacation. There are three national parks, one regional park and many protected sites and nature reserves: in a region like this, it seems natural that the regional capital is called L¿quila (¿he Eagle¿. This guide leads you in a visit to Abruzzo, starting from L'Aquila, all the sea resorts, and the National Park. It covers Abruzzo cuisine, with a section on the specialty Foods of Abruzzo, and lists many regional recipes with active links to the recipe pages. It lists also the regional wines. 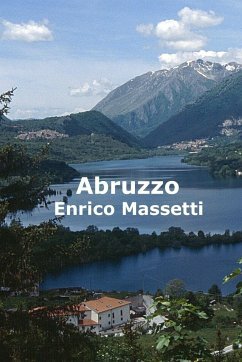 It includes a comprehensive section on Abruzzo's history, from the historic pre-Roman age, through the historic Roman age, the Middle ages, the Renaissance and the Baroque period, and the Modern age. It includes color photos and descriptions of the attractions, as well as travel info. Enrico Massetti was born in Milano. Now he lives in Washington DC, USA, but he regularly visit his hometown, and enjoys going around all the places near his home town that can be reached by public transportation. Enrico can be reached at enricomassetti@msn.com.